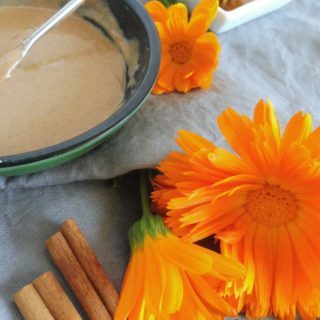 Salve is something that every herbalist loves to make. But making Lavender Salve is even more unique and rewarding for me. My relationship with lavender is just so special that anything I do with it has a bigger dimension. I think I may have been one of the Egyptians buried with his lavender in his tombs. I love its color, smell and its medical benefits too. Lavender has a calming effect not only on me, but when I work with lavender the whole house smells nice and everybody is more pleasant and loving. More info about lavender and its benefits is here. Lavender has been added to many bath and wash products for thousands of years, proving it’s effect time and time again. 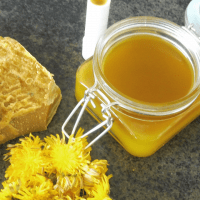 Making your own salve at home is not at all difficult; on the contrary, it’s a very relaxing and pleasant thing to do when you work with a herb that pleases your eye and your nose. I’m starting to prepare lavender remedies in the spring when I plant the seeds of my favorite lavender, and with great patience, I water them and care for them. 90 ml of lavender infused oil (To prepare the lavender salve you will need lavender infused oil. 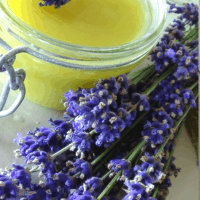 For its preparation, you use full jar (500 ml) of dried lavender and 250 ml grapeseed oil. 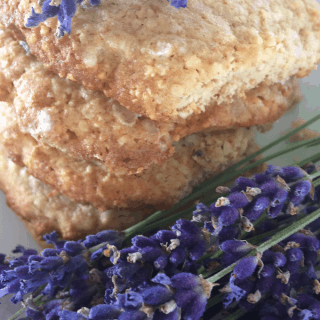 You can read its benefits and instructions on making lavender infusion oil here. few drops of lavender essential oil – to help combat bacterial and fungal infections. The antimicrobial activity of lavender is further enhanced when it is combined with tea tree oil for topical use. few drops of tea tree essential oil – is good in prevention of infection in cuts and abrasions. In addition, it encourages wound healing and is also effective hand sanitizer that helps to kill a number of germs responsible for colds, flu, and other illness. 1. To make a perfect salve, you’ll need to pour the lavender infused oil, coconut oil, and the beeswax into your double boiler. 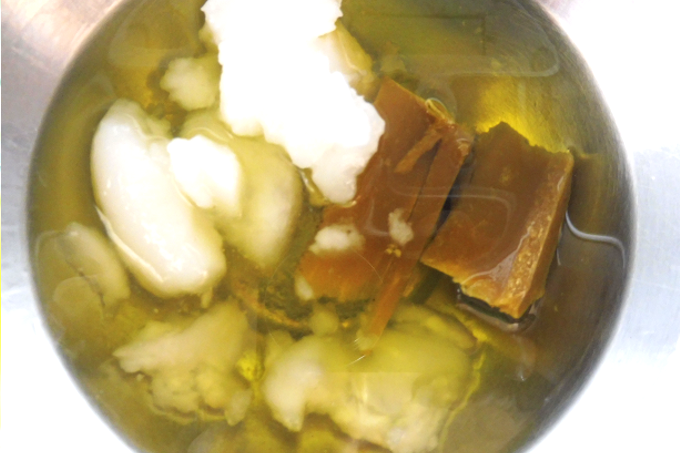 Set the heat to low-medium, and allow the beeswax and coconut oil to melt into the oil. 2. Once it is completely melted, just remove the mixture from the heat and let sit for a few minutes to cool it down a bit. The heated oil is not the best for essential oils, and although you’ll need it to remain liquid for this part, you don’t want it cooling down and beginning to solidify. 3. Add your essential oil: You can add more or fewer drops of lavender and tea tree oil essential oils. The strength of the scent will decrease a bit as the salve hardens, so keep this in mind. This looks lovely! I need to buy some beeswax to get started. Thanks for the recipe! 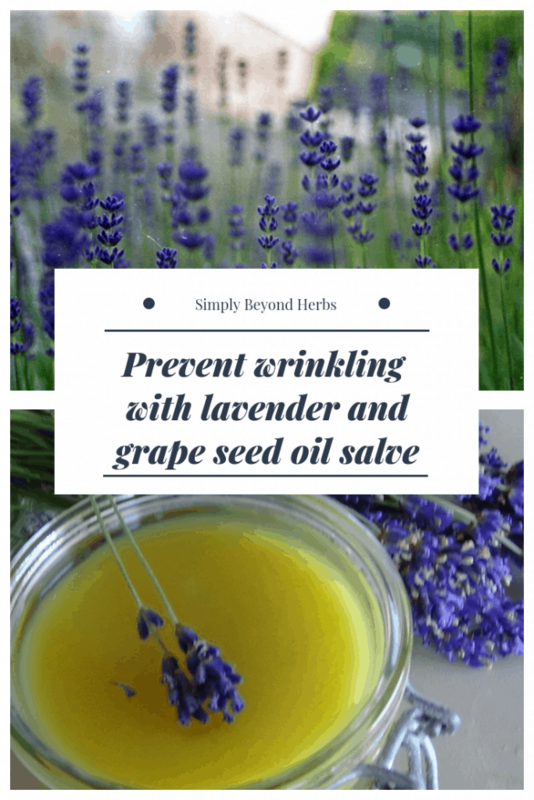 I love lavender and I love grape seed oil! This looks like an amazing recipe. Thanks! I think I will try this salve out for my dry hands. I never really cared for the scent of lavender until I started using essential oils. Now I just love it. 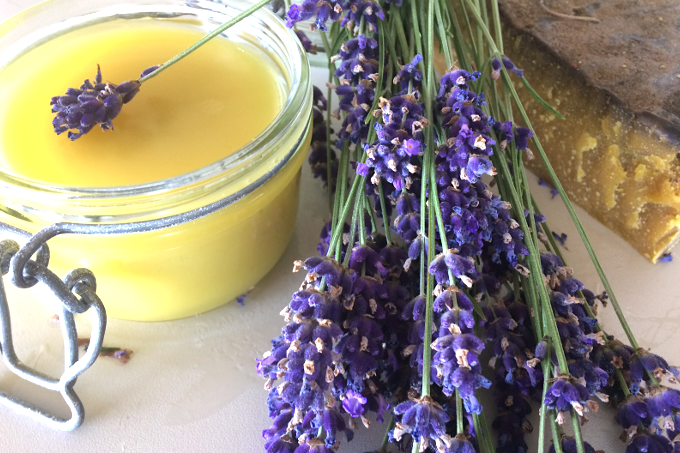 This salve seems easy enough to make, what a wonderful gift to give someone. I love herbs and grow many, just never positive of the proper way to harvest, when etc. This salve sounds wonderful!